On September 4, 1886, the famed Chiricahua Apache leader Geronimo and a small band of followers surrendered to the U.S. Army in Arizona. His capitulation marked the end of the major campaigns of the Indian Wars, but before then he spent the better part of a decade on the run and became a frontier celebrity for his ferocious guerilla raids and ghost-like ability to elude the American and Mexican authorities. 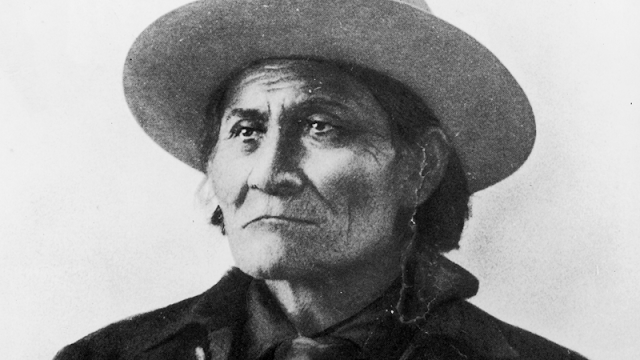 Check out seven fascinating facts about Geronimo’s life and legend. 1- The origins of his name are disputed. 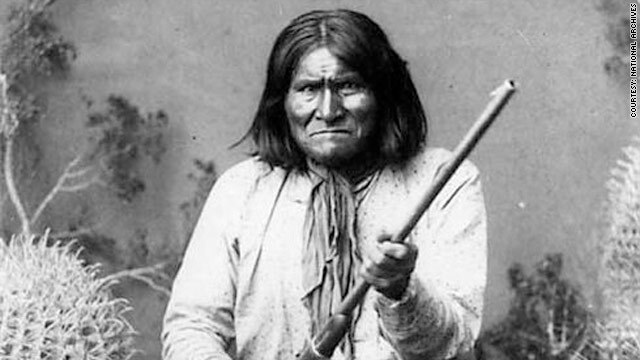 2- Geronimo’s wife and children were murdered when he was a young man. 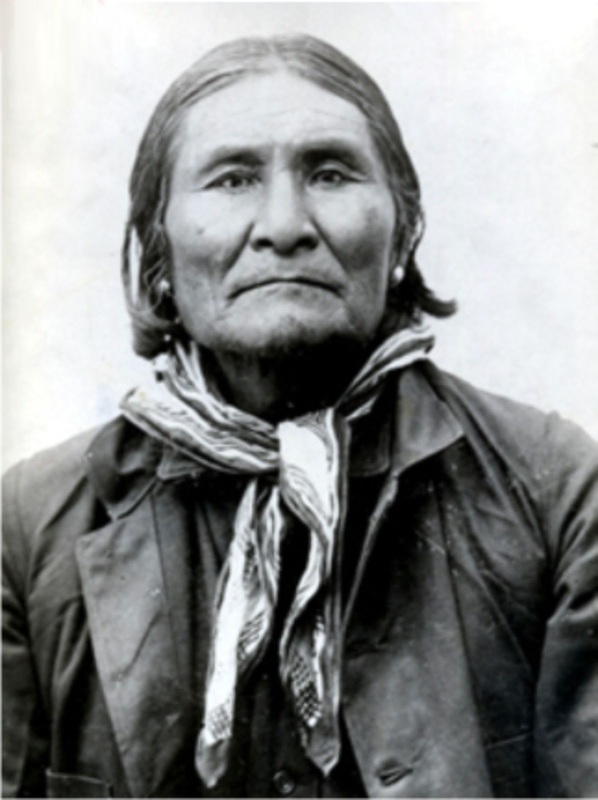 3- He broke out of U.S. Indian reservations on three different occasions. In the 1840s and 1850s, the Mexican-American War and the Gadsden Purchase placed the Chiricahua Apaches’ domain within the boundaries of the expanding United States. 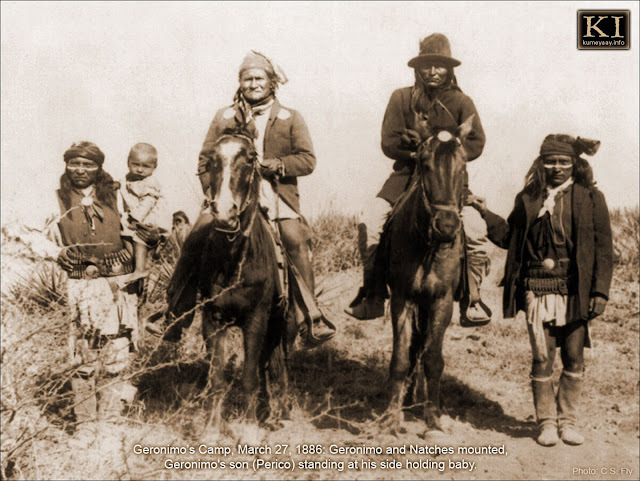 Geronimo and the Apaches violently resisted the influx of white settlers, but following several years of war with the U.S. Army, they reluctantly negotiated a peace. By 1876, most of the Chiricahuas had been shipped to San Carlos, an arid and inhospitable reservation located in Arizona. 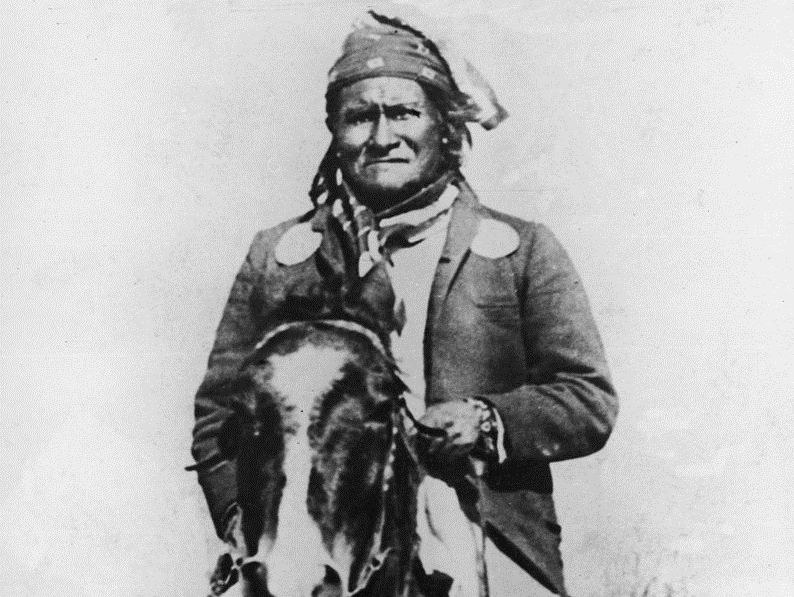 Geronimo avoided the reservation until 1877, when he was captured by Indian agents and brought to San Carlos in chains. He tried his hand at farming, but like many of the Chiricahua, he longed for the freedom of the frontier. Geronimo and his allies would eventually stage three escapes from the reservation between 1878 and 1885. Each time, the renegades fled south and disappeared into the mountains, only resurfacing to conduct marauding expeditions on both sides of the U.S.-Mexico border. During his second breakout in 1882, Geronimo even staged a daring raid on the Apache reservation and forced several hundred Chiricahuas to join his band—some of them at gunpoint. By the time of his final breakout in 1884, Geronimo had earned an unparalleled reputation for cunning, and stories of his ruthlessness—both real and imagined—were front-page news across the United States. 4- Geronimo’s followers credited him with supernatural powers. 5- Nearly a quarter of the U.S. Army took part in the final hunt for Geronimo. On May 17, 1885, Geronimo and some 135 Apache men, women and children took flight from their reservation for the final time. The famed warrior was then in his 60s, but he remained as determined as ever, often pushing his group to cover as much as 70 miles per day to avoid the American cavalry and Apache scouts on their trail. 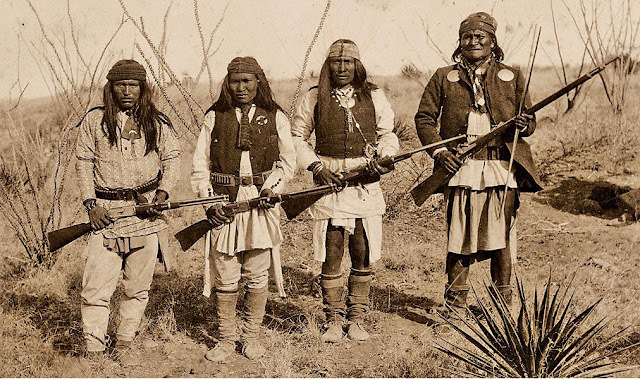 Over the next several months, Geronimo’s fugitives raided countless Mexican and American and settlement, killing several civilians. They nearly surrendered in March 1886, but Geronimo and 40 followers reneged on the agreement at the last minute and escaped under cover darkness. Soon, the Indians were being pursued by 5,000 U.S. soldiers—nearly a quarter of the standing army—as well as some 3,000 Mexicans. Geronimo was able elude both forces for over five months, but by August, he and his followers had grown weary of life on the run. On September 4, 1886, he finally gave himself up to General Nelson Miles at Skeleton Canyon, Arizona. In laying down his arms, he became the last Indian leader to formally surrender to the United States military. 6- He spent the last 23 years of his life as a prisoner of war. 7- Geronimo participated in Theodore Roosevelt’s presidential inauguration. Geronimo’s most famous public appearance came on March 4, 1905, when he took part in President Theodore Roosevelt’s inaugural parade in Washington, D.C. Flanked by five other Indian leaders, the elderly warrior rode a pony down Pennsylvania Avenue, eliciting cries of “Hooray for Geronimo!” from spectators. Five days later, the Indians got a chance to speak to Roosevelt in person at the White House. 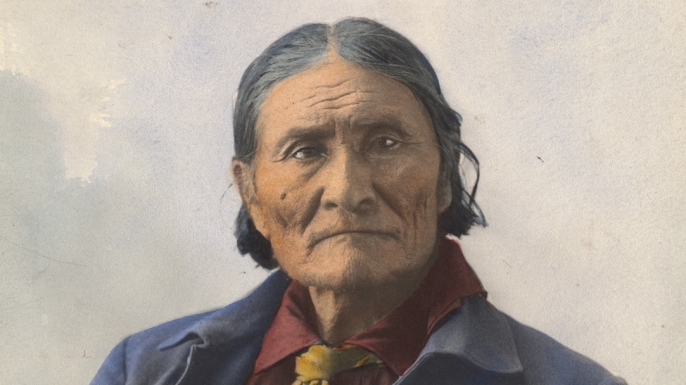 Geronimo—still a prisoner of war—took the opportunity to plead with the President to send the Chiricahuas back to their native lands in the West. “I pray you to cut the ropes and make me free,” he said. By then, nearly 20 years had passed since Geronimo’s surrender, but Roosevelt turned down the request out of fear that war would once again break out if the Apaches returned home. The federal government wouldn’t free the Chiricahuas until 1913—four years after Geronimo’s 1909 death from pneumonia. Responses to "7 Things You May Not Know About Geronimo"
They should have let Geronimo go back to his home in New Mexico. His spirit will never rest. Now that he is gone, his remains should be moved there.